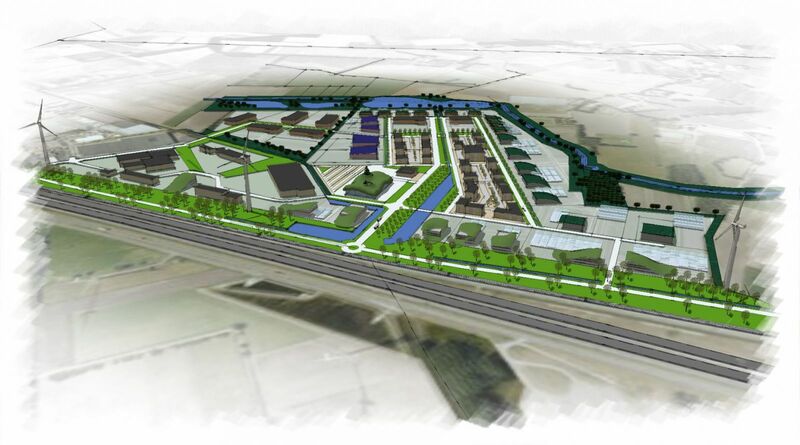 The Business Centre Treeport (BCT) will become the heart of the 'tree nursery business' of Zundert and its wide surroundings. Trade, logistics, promotion, research, and education are the core activities. The BCT also offers space for businesses related to the tree nursery industry, such as suppliers, mechanization companies, businesses that process organic matters and raw materials, companies that specialize in landscaping, etc. The BCT is a thematic industrial area with businessesthat can create a win-win situation by means of cooperation. This synergy (working together) and symbiosis (living together) can be turned into growth for the businesses, for the industry, and for the local and regional economy.